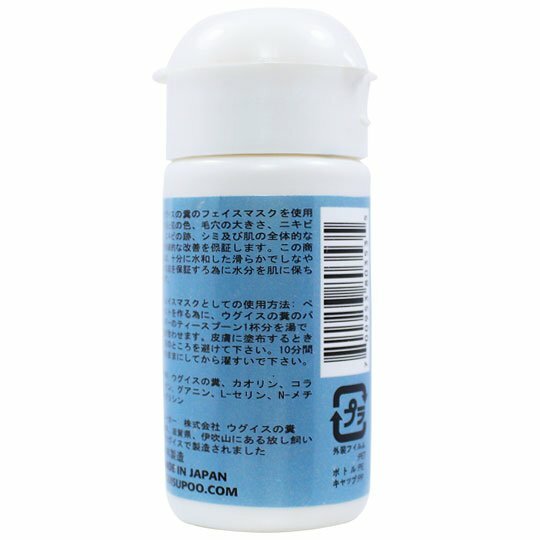 View Cart "Uguisu No Fun Calming Mask" was successfully added to your cart. Uguisu Poo Uguisu No Fun Hydrating Mask contains the finest ingredients to combat chronic skin dryness and visible signs of ageing and sun damage. This product is best suited for clients above the age of 40. The formulation contains N-Methylglycine (Sarcosine), a naturally occurring protein that ensures that moisture is attracted, retained and timely released as needed leading to total skin hydration for up to 96 hours after use. Uguisu Poo Uguisu No Fun Hydrating Mask is the only Uguisu Poo Mask variant that contains high potency Collagen that treats and prevents fine lines, wrinkles and other signs and symptoms of skin ageing as well as sun damage. 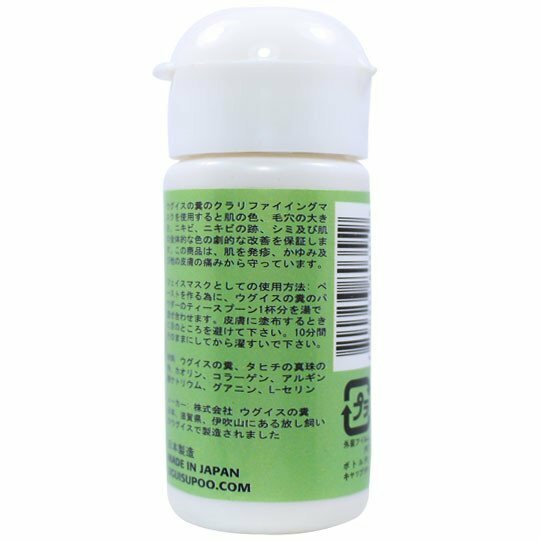 As with all other Uguisu Poo Mask variant, this product contains 92% Enhanced Uguisu No Fun that is clinically proven to illuminate the skin tone, treat discoloration and produce natural skin exfoliation to reveal a younger, healthy looking skin! 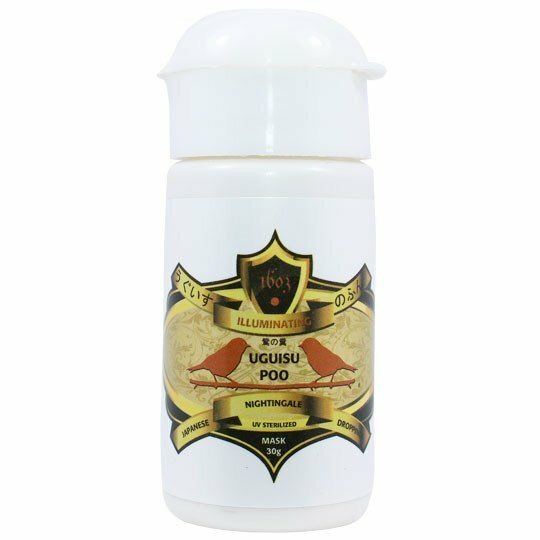 Uguisu Poo Uguisu No Fun is made from Enhanced Uguisu No Fun, the only one of its kind and is clinically proven to be 4 times more effective than raw Uguisu No Fun. Enhancing a raw Uguisu No Fun means that unnecessary contents such as ammonia and food residue eaten by the Japanese Nightingale Bird like insects, fruits and its seeds are carefully removed to produce the purest form of Bird Poop Facial or Geisha Facial as it is known in high end beauty clinics. As a facial mask: Mix 1 teaspoon of Uguisu Poo Uguisu No Fun Hydrating Mask powder with warm water and make a paste. Apply on the skin while avoiding the eyes. Leave for 10 minutes or longer then rinse. As a facial wash: Lather the facial wash with hands and mix half teaspoon of the mask in the lather. Wash the face using this mixture and rinse. Ingredients: Enhanced Japanese Nightingale Bird Droppings (Uguisu No Fun), Sarcosine, Collagen. 92% of this product is made from 100% pure and enhanced Uguisu No Fun. The remaining 8% is composed of ingredients that serve the mask’s hydrating and anti ageing purpose. This product is UV sterilized and is 100% free from any harmful microorganism. I conceive other website proprietors should take this internet site as an model, very clean and fantastic user friendly layout. Thank you a lot for sharing this with all people you really realize what you’re speaking about! Bookmarked. Kindly additionally seek advice from my site =). We could have a link change contract between us! Nice result after using this uguisu no fun hydrating mask its moisture my skin!! Good product I’m not disappointed , even if the price is too high but the result was amazing after using it , it lessened my wrinkles. it so happen that my friend introduce this uguisu no fun hydrating facial mask. i tried it and impressed with the result. thats why i asked her where to buy and immediately place an order. i love this mask because it gives me a glow and it’s moisturizing. I’ve tried other masks before but it doesn’t work it cannot compete with this hydrating mask. 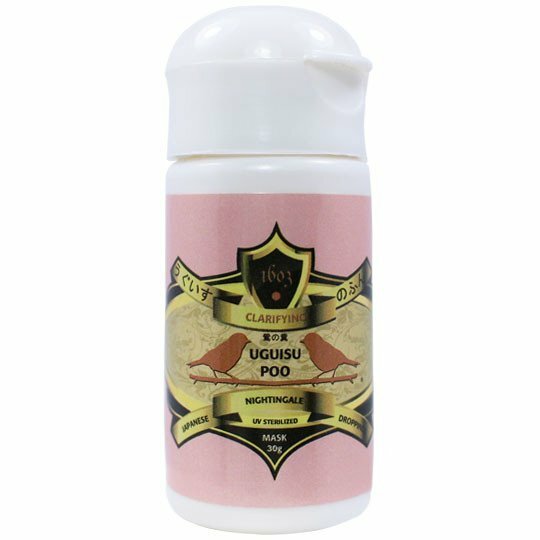 Im glad uguisu poo is now available online! 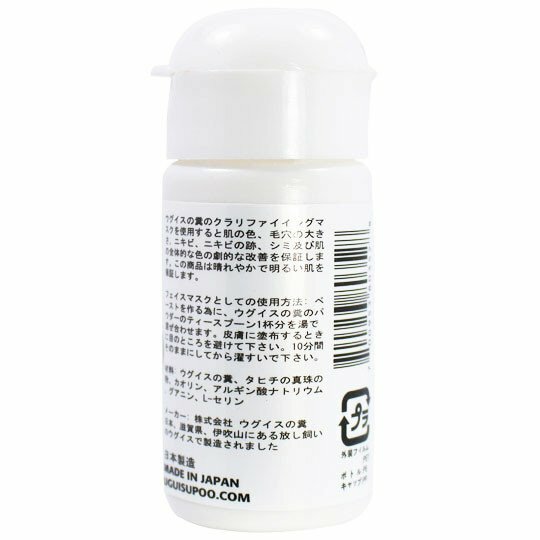 been using this product for almost 2 years now and before i was directly buying from japan everytime i visit i hoard 2 boxes of this. really helps moisturize and clear wrinkles specially if your above 40 and getting some lines. the uguisu no fun hydrating mask makes my skin healthier. i noticed that my facial skin becomes soft, smooth and bright. i’m happy for the outcomes because my face will be lines free. 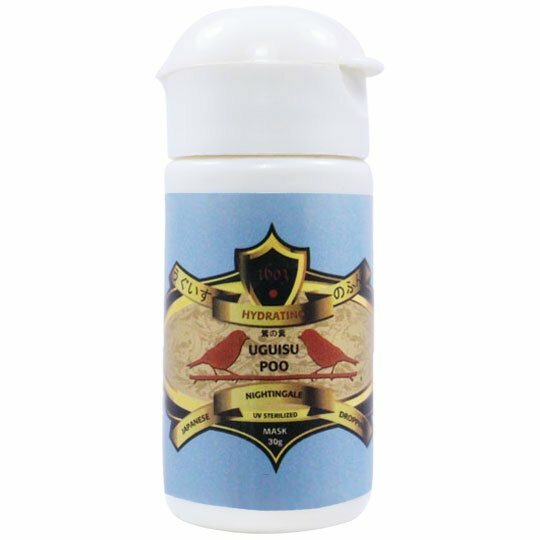 uguisu hydrating mas helps my skin on face to keep moisture and clean. it really nice using this product before going to sleep. when i wake up in the morning i always look to the mirror and i found that my skin are not dry and soft. thank you bird poop facial. already gave me a great impact with just a single use! iam so happy that i bought this mask! now i dont have to go to a skin clinic anymore! is splendid in a manner of smoothing the skin, it smells ordinary and what i like about this product serves as my skin naturalizer! Awesome!! I liked this ..
i used so many different products for my face, but only in this mask I got the best result, very good products. I love this hydrating mask and used it whenever my face feels dry. After each hydrating treat, i can feel that my skin does not feel as tight. It gives a very comfortable and rested feeling. This uguisu is only available online, and it took 10 days or more before I received the products. It doesn’t smell! 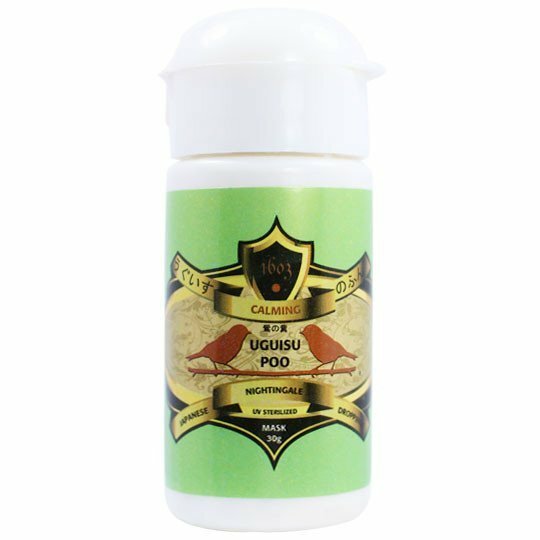 I thought I would not like the smell of a bird poop but this does not smell and the effect is really great on skin… its like having expensive facial spa at home. Category: Uguisu No Fun Mask. Tags: Anti Ageing Facial Mask, Anti Ageing Mask, Anti Wrinkles Mask, Dry Skin Mask, Facial Mask for Dry Skin, Facial Mask for Wrinkles, Hydrating Mask, Mask for Dry Skin, Mask for Wrinkles, Moisturizing Facial Mask, Uguisu No Fun.